We are very often asked about the nuances of Bank Holiday facts and entitlement and an employee’s concern over rights and payments. Of course, that information is very useful to have to hand, but here at Cox & Co. we like to get behind the nuts and bolts and discover the ancestry of such things. So listed below are 10 facts about Bank Holidays in the United Kingdom. Enjoy! Prior to 1834, the Bank of England observed approx. 33 saint’s days or religious festivals and took them as holiday. Bank holidays were first introduced by the Bank Holidays Act of 1871 and reduced public holidays to 4 days (Easter Monday, 1st Monday in August, Boxing Day and Whit Monday). The act was introduced by Sir John Lubbock, the 1st Lord and Baron Avebury, (30th April, 1834-28th May, 1913), English banker, politician, naturalist and archaeologist. The 1871 Act was repealed 100 years later and its provisions incorporated into the Banking and Financial Dealings Act 1971, which remains the statutory basis for bank holidays. 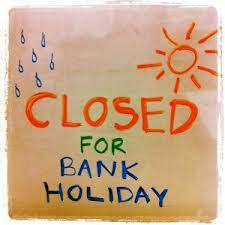 Bank holidays designated since the 1971 Act are appointed each year by Royal Proclamation. Bank Holidays are not mandatory leave days, you may be contracted to work. Additional public holidays appointed for Royal Weddings or the Royal Jubilee is not automatically considered as additional paid annual leave. Currently England, Scotland and Wales all have eight public holidays per year, whilst Northern Ireland has ten. In England the 8 Bank holidays are – New Years Day, Good Friday, Easter Monday, First Monday in May, Last Monday in May, Last Monday in August, Christmas Day and Boxing Day. Northern Ireland has two additional days, St. Patricks Day and Bottle of the Boyne. There are holidays that are given in lieu of Bank Holidays that fall on a weekend, such as Christmas Day, Boxing Day and New Years Day.